Dual black & blue writing ink in one pen. 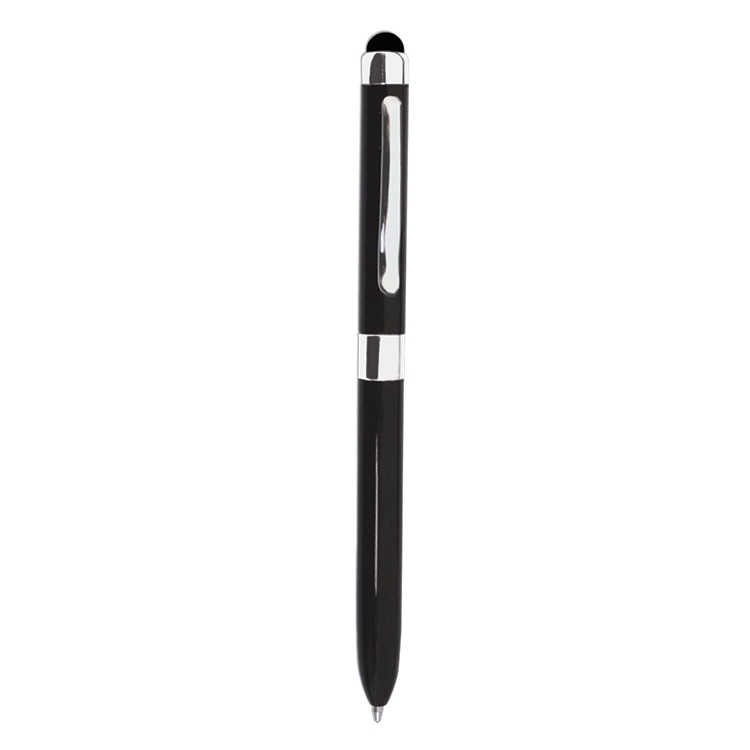 Sleek twist action brass ball point pen in black lacquered finish with shiny chrome trims. 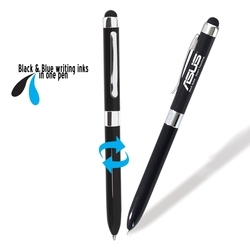 Featuring 3-in-1 inter-changeable black & blue dual ink cartridges & soft touch stylus for any smartphone, tablet computer, or touchscreen devices. **Imprint Size: 1 5/16" x 1/4"
**Price includes one location Laser Engrave. Set-Up Charge $50.00(G).